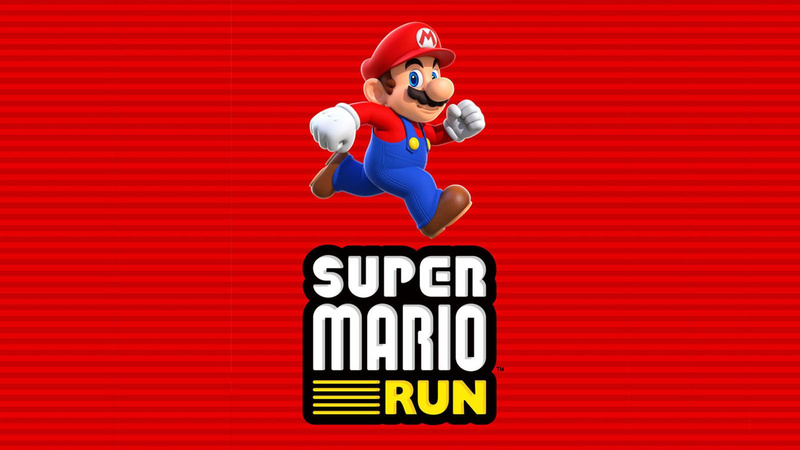 Super Mario Run has been available on iOS for a few weeks now, while Android users have had to endure a rather annoying wait to get their hands on the plumber's first smartphone adventure. The good news is that the wait is almost over - Super Mario Run will arrive on Google-powered phones in March. This news shouldn't come as a massive shock as pre-registration for the Android version opened recently, hinting that a launch wasn't far off. Are you an Android user, and are you excited by this news? Or has the hype worn off following the iOS release? Let us know by posting a comment. HA, called it - Android gets FE Heroes before Super Mario Run. Wow, didn't expect it to be an iOS exclusive for so long. Damn it, March. That's so long (feels like) wanted it this month. @IceClimbers It really does feel like Fire Emblem Heroes is launching on Android first to make up for Super Mario Run not getting a release date until just now. Odd, since pre-registration for the Android version of FE Heroes is approx. 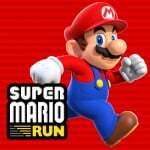 2 weeks before launch, and yet the preregistration for Super Mario Run on Android, according to this news, will have been 2 months before release. I'm fine either way. I just hope we get Animal Crossing news soon! Hopefully available in my country Indonesia. Kind of old news by then. I love the Mario series but...we are even getting Fire Emblem Heroes before this. I wish they'd just release them on everything at the same time like with Pokemon Go (i know thay was handled with different people). Cool, still looking forward to it. I've avoided playing this on my iphone (work phone) while I wait for the android version. I'll buy it when it hits in March. I just realized my phone is this. So if I get the Android version on this... OH THE IRONY. A just reward for the transgression of buying an Android phone. Gross. JK. Or am I? Maybe, maybe not. Sounds good. I shall be giving this a go. I dont really care anymore tbh. Too many distractions that month. Like 7 or 8 others or more like really one. Wow. Nintendo is really packing March with stuff. Their IPs will be everywhere. I just hope they can keep the moment going into the holidays. This year is make or break. And, yes, I am very eager to finally get my mitts on SMR. I was thinking about downloading this when it came out but by March I probably won't need my cell phone for mobile gaming for a while after. Well I'm impressed, and admittedly wrong. I thought 6 months at the least, probably 12. 3 months isn't that bad. Why not just say so last year? I still need to check all the phones in my house, my tablet said no, probably b/c of no cell service. Edit: Nope, my months old Samsung Galaxy Core Prime says no. I'm guessing the 3 other Android smartphones in my house are also no, they are all about $100 1 year old phones running 4.4 or 5.0. They said this about Miitomo, meaning it will come out on the very last day of March. @bofis nope. I tried to play on plane the other day and forgot u need wifi. I'd seriously skip it tho. Maybe at 99 cents. @JamieH Unfortunately I don't see it having much of an impact at all. FE on mobile is such a small fish in the pond of Nintendo that I'm not sold on that boosting anything for shareholders. I've been one for a few years ago now, and investors are solely going to be interested in Switch-centric release information and numbers. Anything mobile-related would have to be Tier One IP to move the needle, and that would be after Nintendo has proved it has viable revenue generation from their mobile strategy. You always have to look at things inside the entire ecosystem of a company when it comes to investor sentiment. The only mobile-related "stock boost" I could see is if Nintendo created a mobile Virtual Console app that sold a library of retro game IP. They're not quite ready to do that at this point yet as the idea of mobile is relatively new to Nintendo. They treat the classic library with kid gloves. @rjejr Wonder what the limitation on those android devices is? Just bought Super Mario Run a couple of days ago. It's pretty fun. I think maybe they should have let people play the first ghost level as you start to feel the potential of the game there and it gets more clever. Anyway, it's cool everyone will have a chance soon. Premium upfront pay on iOS, free to play on Android. Makes sense why each was released first on each platform to me. Yay! I am so ready to play! 1. Is Android 4.4 good enough to run it? 2. How do I pre-register? Actually it's just called Sony Ericsson Xperia Play, or Xperia Play for short. I do own a PSP Go, but that's another story entirely. @AlexSora89 Dude, that phone is like 837 years old by this point. either way, i would like them to release super Mario run, Pokemon go, and Miitomo to windows phones. if Nintendo does that they would make a lot of money from it. but for now we have to be thankful that these games are available on iPhones and android devices. Nintendo may be my favorite gaming company, but i am not willing to buy a new smartphone just to get a game that i may only play once. i once tried out Pokemon go on my cousin's phone and Pokemon go is not worth the price of a new smartphone. Well, by March I'll have a Switch (hopefully), so it's gonna be a pass. It would take a lot to convince me to dive into mobile gaming either way, even if it's from Nintendo. @AlexSora89 You own a Go? Do you own a 24" 3D TV? We own Wonderbook, 2 Move controllers and a Nav, but they were all cheap on clearance. Oh, I own a PSTV, that may be more lame than your Go. And a poorly selling Dreamcast and Wii U, but those are blockbusters compared to PSTV and PSPgo. Endless runner whatever the skin, could not care less. I've been waiting to hear this news , I'm so excited right now March is looking to be an amazing release month for Nintendo. How about celebrating the release by slashing the price in half Ninty? Annoying wait, indeed. And now that Switch and BotW is March 3rd, they lost my guaranteed sale. Ain't got no time for a mobile Mario game when I got a new Zelda! I hope they release some more info soon on Fire Emblem and the Animal Crossing mobile games I'm excited to see what they got up their sleeve for those two . I closed this article and scrolled down the page and just saw Fire Emblem Heros released Feb.2 , Yes , Yes and a big old YES..
@stevenw45 you are missing nothing. it's a game made for everybody else — the people who don't care enough to be here. it's a competent truncated version of new super mario bros. for people who have decided that their only gaming platform is the one that has whatsapp on it. no one will ever be playing super mario world and wish they were playing super mario run. ever. Now I'll finally have my chance to play it, since I refuse to buy anything from Crapple. It will time the hype quite well with the Switch launch. @Solid_Stannis I hope I'm not the only one who got that. No way I own all that stuff. Just a PSP 2000 and a (cracked, which is how it's been sold on eBay to me) PSP Go. The focus on digital downloads, meaning I only need console and charger, is what makes my PSP Go the ideal companion device to my 3DS. MegaMan X on one console and MegaMan Maverick Hunter X on the other? Yes please! It's also a good device for getting your portable game fix without resorting to King's devious money-milkers. By playing, you know, actual video games. I'm painfully aware of it. Sadly, it's also a branded model, which means pre-installed apps are monopolyzing the phone's internal space. Using Whatsapp is basically a chore now. And yet, I don't care. Certain games look amazing on this screen! I'd buy that for a dollar, or, Brexit taken into account, £9.99. This, Switch and Zelda makes March a busy month. I am rubbish at this game. @Grawlog I dont play mobile games, but will make an exception for Fire Emblem. Thanks for the suggestions however. @AlexSora89 Well, I'm not gonna deny that the built-in controls are sweet for things like emulators, but I don't really recall the screen being that great. It's not even HD. Your first point, though, is exactly why I love this phone. Just played the iOS version yesterday, before it gave me a problem every time with the purchase screen. I think the game is very pretty and... yeah, anyway, regarding the Sony device, it's like my Sony TV - it's hooked to a Wii, Wii U, Mini NES and planned for the Switch I love that , that's 3 HDMI, one component. The other HDMI for the cable box/DVR. @iGen Watch the language, kid....and censoring doesn't work with us. @iGen It's called a warning, I've already edited your post. I could already see that. It's called a question with no malicious intent. And don't you think your distain and offense is a bit high for a relatively mild word? Especially for a somewhat old article which nobody is currently viewing anymore? Snowflake much? EDIT: Aside from rjejr. He probably doesn't even care anyway. @Grawlog Yes, "said no" was layman's terms. It said something like "This version of this software is not able to be installed on this device." It's a $10 2D Mario game, I'm not going thru the trouble of sideloading anything. I probably wasn't going to buy it anyway, for $10 I can buy some more PS4 games. One of the benefits of buying a console 3 years after launch, lots of older games on sale for $10. And by older I mean months, not years like on Nintnedo consoles. Ok, that was a bit of an unnecessary sidebar, sorry. @iGen I'm doing my job, and the F word isn't mild. Just stop using profanity and move on. Otherwise I'll get Lz in here and you can deal with him. I was talking about the second one being mild, but yes, I did take it too far. I apologize for breaking your rules. Let's move on. @bluedogrulez I'm still convincing my sister to get it also, if only for Toad Rally. It certantly sounds like fun on local multiplayer. Wait, a Nintendo product where the purchasing option doesn't work? Generally that's the part of Nintendo's online that works! Even the Wii has its Wii Shop as the only intact part of the Wi-Fi Connection! Watch it being android flavored also show up on the Switch eShop a well. At least they can claim to have a Mario game at launch! @Billsama: TBH, I don't know of a local multiplayer mode. Toad Battle against friends are not live; it's like battling a friend's ghost run. Not as fun as live, but has the advantage of allowing you to be able to pause and resume when life (or other cellphone functions) interrupt. Also serves as a sort of leaderboard function. @bluedogrulez No yeah, I probably used the word "local" wrong. I mean to be able to compete with someone you know is always more fun. I know the multiplayer is asynchronous and online. @AlexSora89 I'm blaming it on Apple. Seriously took me weeks to fix.